How would you describe your work attitude? When you’re away from work, how would you describe your attitude? Same or different? 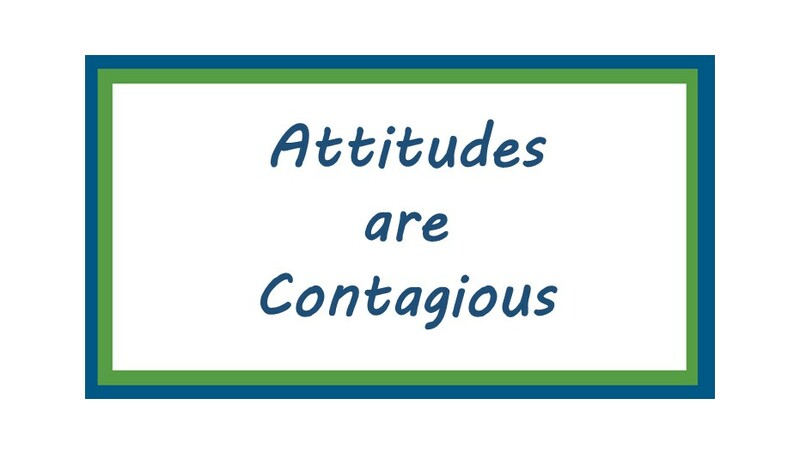 You’ve likely come across people who have a negative attitude at work, but they carry around a great attitude at home. Perhaps they approach a neighbor or friend with a positive outlook, but at the office, they’re close-minded and unenthused. How strange. It doesn’t take any extra energy to maintain a positive attitude wherever you go. Think about all the public negativity in this country that’s prevalent. But when a natural disaster hits, people’s attitudes change in positive, supportive ways. Why can’t it be like that all the time? As a leader, you can do your part to create a positive work environment. Maintain the same positive attitude both at work and away from work to maximize your influence. For the most part, people want to be around people who are positive, supportive, and enthusiastic. When you are, the positive ripple effect kicks in. As a leader, if you are negative, unsupportive, and unenthusiastic, the negative ripple effect also kicks in. It can cause those around you to adopt the same outlook. When someone on your team is negative, unsupportive, and unenthusiastic, it reflects on you, the leader. Do not tolerate that! But how do you fix it? In the hiring process, identify and select new people based on their attitude. Regardless of the circumstances, remain positive, supportive, and enthusiastic. In your communications, tell stories with positive outcomes. Know your employees’ goals and help them achieve those goals. Turn negatives into positives by noticing the silver lining. Attitude is vitally important in succeeding at work-and in life. Make yours worth catching.